Healthy hair is the reflection of your health and personality. Your hair and scalp always needs a proper care. If you neglect them, it will result in dry brittle hair, spilt ends, dandruff, hair fall etc. There are many factors that lead to hair breakage. So follow few simple tips to have beautiful shiny hairs. 90% of population faces the problem of hair loss. Hair loss can be permanent or temporary depending on the cause of the condition. Before starting any hair treatment, it is necessary to find out the cause for hair loss. If you start treatment in the beginning stage itself, you can save much money and time. Generally human health tends to have negative impact on their hair. So take proper care of your health and do all you can to avoid falling sick. General health care is very much important to prevent hair loss. The thyroid glands can also cause hair loss if it is under producing or over producing thyroxin. If your hair loss is because of hormone imbalances, then a treatment for that can stabilize your hair growth and protect you from hair fall. Diet contributes lot to your health of the hair. Your healthy diet helps you to have thick, long and lustrous vibrant hair. Remember if you eat well, nutrients get supplied to your hair which will help it grow. Eat healthy and you can help your hair to look shiny and beautiful. 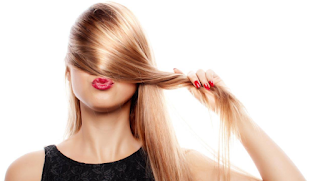 The hair cleansing routine depends according to the type of hair. Some of you may need to shampoo daily; some are advised once in 2 days and some even once in a week. The water you use to wash your hair should not be too hot or too cold. Use your finger tips to scrub tour scalp. Never use your nails. Be sure that you rinse thoroughly in order to get maximum shine. Once in a week, use warm oil to massage your scalp and hair. To avoid unnecessary damage to hair while combing, first separate hairs in to small section, then untangle your hair with a wide and soft tooth comb, comb carefully from root to downward direction only. Do not pull your hair. Brush your hair only when it is dry. Hair is the most weakest when its wet and brushing can easily damage them. You can use a quality hair drier to dry your hair fast. But always use minimum heat otherwise it will tend to damage your hair and reduce the moisture content from hair which the hair look rough and lifeless. When you are kind to your hair it rewards you by looking and feeling better. Choose the hairstyle which makes your hair look natural. Use high quality coloring brands to give rocking colors to your hair. Before going out to beach or pool, comb through the hair. This will protect your hair from sun, chlorine, salt water, and sun?s heat. It will also serve as a deep conditioning treatment. You can also wear a cap while going in to water and sunlight. These are some very useful tips that will help to protect your hair from damage.